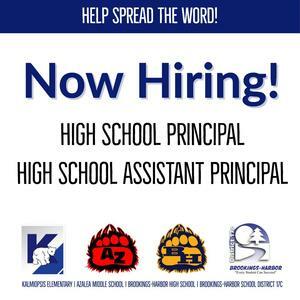 The district is currently seeking applicants to fill two very important roles at Brookings-Harbor High School for the coming school year: Principal and Assistant Principal. Brookings-Harbor School District recently received the resignations of Lisa Dion, Brookings-Harbor High School Principal; and Mark Hebert, BHHS Assistant Principal. Both plan to leave at the end of June. Ms. Dion has served the district for five school years as BHHS Principal coming from Tillamook School District, and Mr. Hebert for one year arriving from Bend-LaPine School District. During Ms. Dion’s tenure, the graduation rate has risen to just below the state average after a long time period of very low percentages in comparison to other school districts. During Mr. Hebert’s tenure, he started the truancy court program in partnership with the City of Brookings which has resulted in a 25% decrease of absences overall at BHHS. 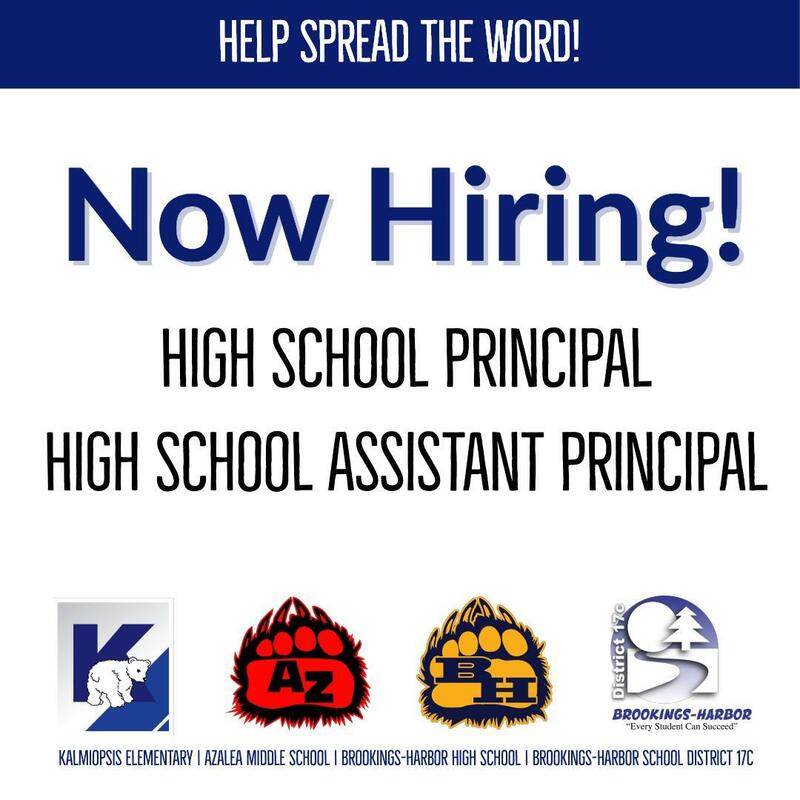 As of last week, both positions are posted to the district hiring website and shared on regional and national search websites. The district will be implementing a comprehensive process with staff input to find effective leaders who are a good fit and can carry on the important work already established. Any questions in regards to the hiring process can be directed to Dede Corpening – HR Assistant and/or Sean Gallagher – Superintendent at 541-469-7443.